Pokémon The Movie: I Choose You is not just any old Pokémon movie. 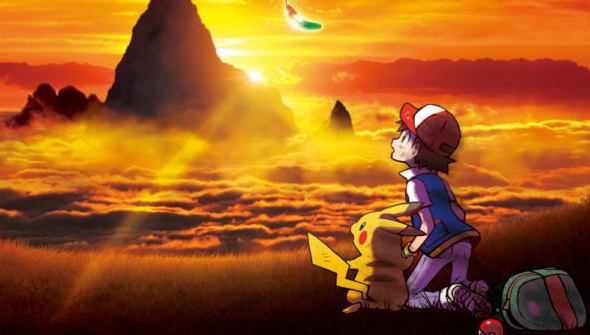 Created to celebrate the 20th anniversary of the Pokemon anime (the video game franchise that spawned it celebrated its own anniversary in 2016), it takes the story back to the beginning. It is also the 20th film in the franchise overall. I Choose You is a retelling of the first meeting of Ash and Pikachu and is a fresh new take their early adventures. Following a series of limited cinema screenings, Manga UK have now announced a home release for the film in early 2018. The film will be released on DVD on February 12, 2018, a release planned to coincide with school half-term holidays. A Limited Edition Blu-Ray Steelbook release targetting older fans and collectors will follow on April 30. Both films will be released with English dub audio only.